This album will mark the debut of the batch of non-promotional albums in the vault that I am so excited to share with you all. In fact, most of them will be so. I have some damn fine promotional discs that I for one reason or another never got around to writing about as well, mind you, but some of them I want to talk about are simply collecting dust in the vault because I am simply a huge fan of the work. And Gratitillium’s 2009 self titled debut from the renowned Tender Loving Empire is definitely one of those beautiful little gems that I have never quite been able to part with. I’ve been a fan of Nick Caceres, who is basically the tofurkey and potatoes of Gratitillium for a whole lot of years now, but I’m not certain that I had ever gotten around to talking about him and his amazing work. It was actually a bit of a toss up between writing about this album, or his equally (I might personally say superior, but that doesn’t really matter) impressive 2006 E.P., Hours of Life, which is a beautifully stripped down batch of folk songs that I can still repeat word for word on command. But, there was honestly so much about this album that felt could be discussed. So discuss we shall! To start with, I can actually clearly recall when I purchased this album, in the Tender Loving Empire store (at it’s original location) in Portland, Oregon. It was early 2011, a couple of years after the album was released, and I was in town doing some Children of Mercy related business with some of the book’s contributors at the Living Room Theatre and few book stores. I had some time to kill so I decided I needed to see TLE in real time, as I had become a massive fan of everything they release/make/conjure from the heavens. I was well aware of Gratitillium and had managed to hear a lot of the album through the power of the world wide web. And I loved it, and had to have the album itself. Now I know you are probably saying to yourself, “Damn man, that is an amazing story!” in your best Jim Halpert sarcastic tone, and you definitely would be right. What I’m really getting at is that this album has always served as a sort of heirloom to a time in my life that was very memorable. I have several items that remind me of this time, but this album is the physical reminder of that beautiful day when I met up with a few of the PDX based contributors to COM to sign some books, watch Marty Mitchell from Soul Distraction show us what it means to be a motherfucking rockstar, and eventually have the best damn sushi I’ll ever have a strip mall in Vancouver with our old friend Chris Eaves and his life mate Jill. As well as the 7 hour drive back to Spokane blaring strange and beautiful animal noises on repeat the entire time. But, back to the music at hand. This album is a wonderfully crazed whirlwind that weaves in and out between obscurity and melody. There is an undeniably unique bit of experimental noise making happening, but it always swoops its way back into the regular world with the structure of a David Lynch film. With that, it is nearly impossible to choose an individual track to showcase (which is a tool you may notice that I often reach for) because each “track” is simple a piece of the 45 minutes of sound that you really have to listen to in order to truly grasp what is going on on this record. Although there is a break down half way through “Horse Around” to amps things up a bit with heavier guitar riffs and terrific female vocals (by who, I am sorry to state I do not know, but I’d like to!). But as I said, this more of an experience rather than just a track list. 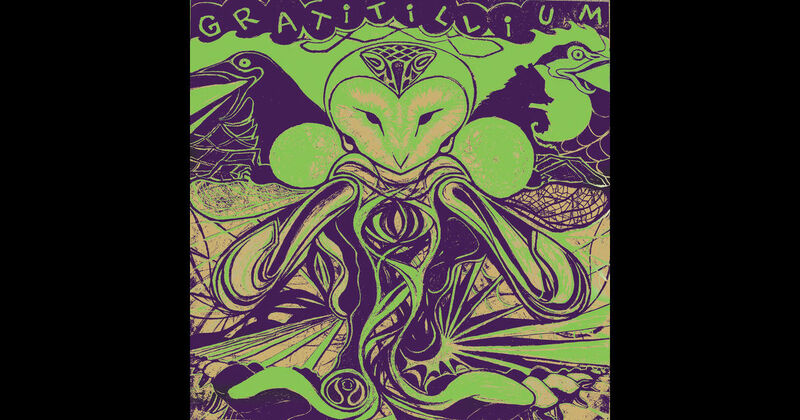 I remember reading somewhere, probably in regards to this album, that the term gratitillium means “gratitude to animals”. I’m gonna have to pull a Michael Rapport “I don’t fact check” on this one because I honestly don’t know. But, I do know that animals are a very important theme associated with album, so I am willing to go along with the concept. In fact, there are actual animals featured on the record such as frogs from Oaks Bottom and birds from Singapore (Yes, I am literally copying from the liner notes, sue me). But the features I was most excited about is the appearance of two individuals in particular, who would be Mark McIntire and Jared Brannan. 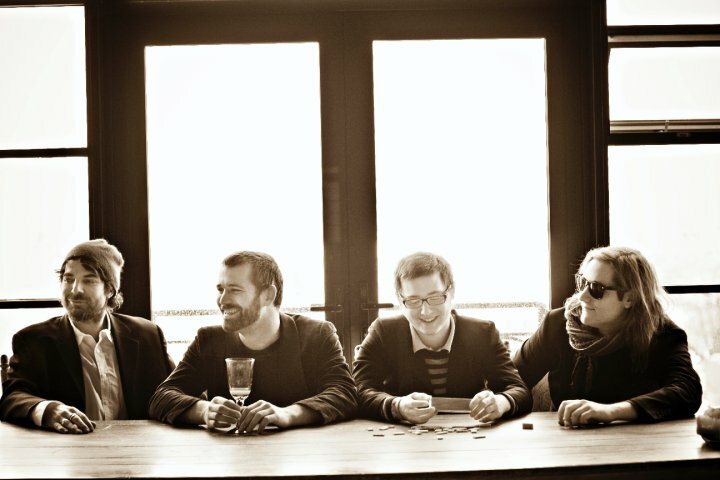 The first cat shared some trumpet skills for us on the album, and also happens to be a former member of one of my favorite bands of all time, the long time separated No Go Know, who you may remember as topping my Top 37 1/2 Albums of 2009 list (Or you may not). And the latter is the man I like to refer to as the Dostoevsky of Folk rock. He provides acoustic for a moment on this album and is as stunning as usual. I’ve known Jared a long time, and with each project I hear from this man, I continue to be more and more impressed. But, the swing it all back around to the man of the hour, Mr. Nick Caceres. As I stated before, I am a fan. Many people are guitar players, songwriters, or instrumentalists. But this man, ladies and gentleman, is damned ARTIST. What he does with sound and lyrics can only be declared as art. He is a mad man of intellect and an overall joy to hear create. This man released a little 7 track E.P. a decade ago that I still can love and enjoy to this day. And oddly enough, he was only getting started. And a few years later he assembled the gem of an album/group that we now know as Gratitillium. I really feel the need to extend a personal thank you to Nick for the joy he has brought to my earholes over the last decade. And I do hope to hear more. You can still pick up this amazing album at the Tender Loving Empire website. Hi! It’s nick caceres! Whoever wrote this article about gratitillium thank you so much! Very flattering indeed. I have some new releases in the works almost ready for a release. Would love to be in touch so contact me plz for sure! Facebook works cheers!